It’s back! 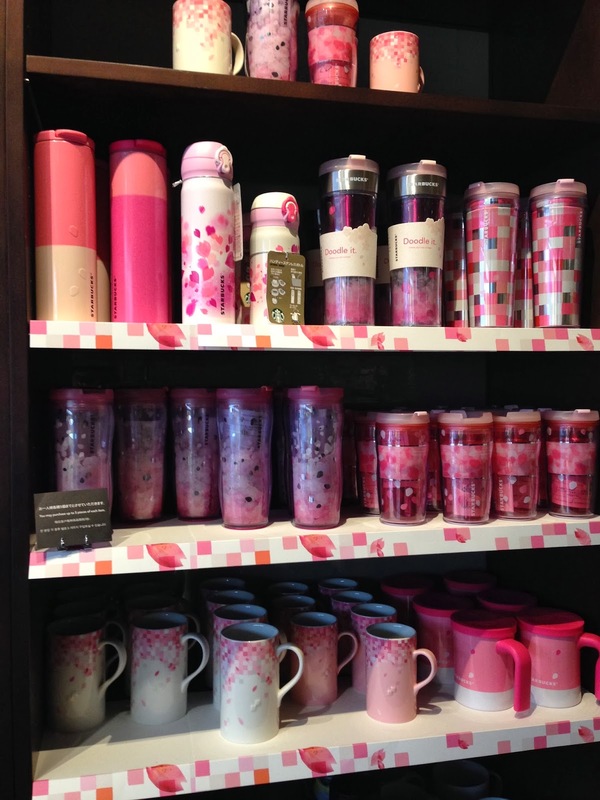 Each spring Starbucks releases a new beverage and merchandise with a sakura (cherry blossom) theme. It’s a wonder how they can keep coming up with new drinks using the same flavor year after year, but it seems that whenever spring comes around, bigger and bigger crowds flock to Starbucks for the new latte. 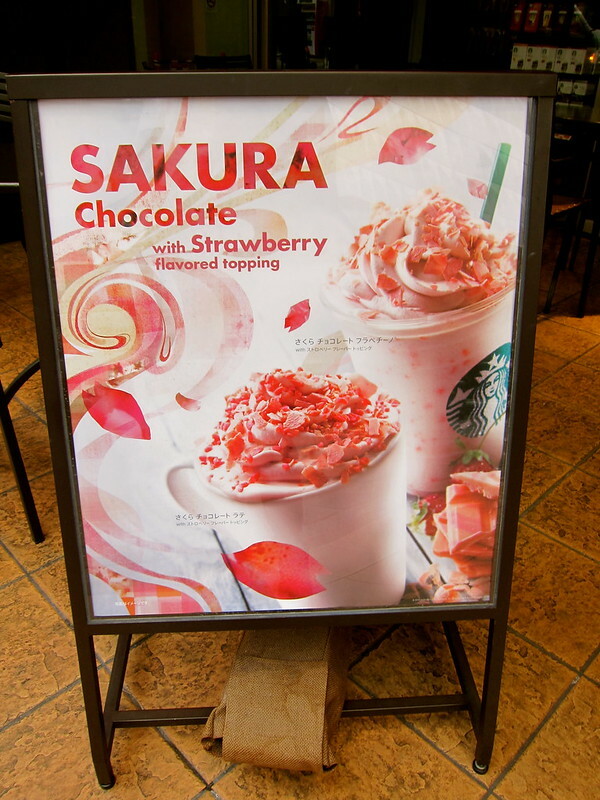 This year, the flavor is Sakura Chocolate Latte. 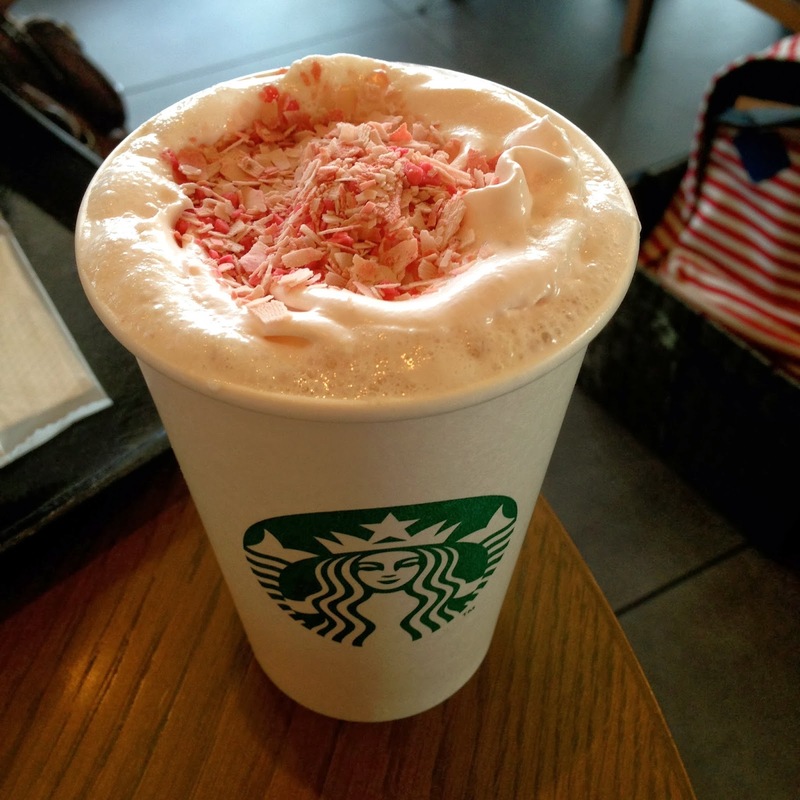 Strawberry flavor has also been a big trend, so Starbucks added strawberry toppings to their seasonal spring latte. Unfortunately the strawberry flavor overwhelms the sakura flavor, so that’s all I taste. In hot form, it tastes like a strawberry white mocha. I don't like it much actually. The warm-fruit taste kind of grosses me out. Sorry Starbucks. 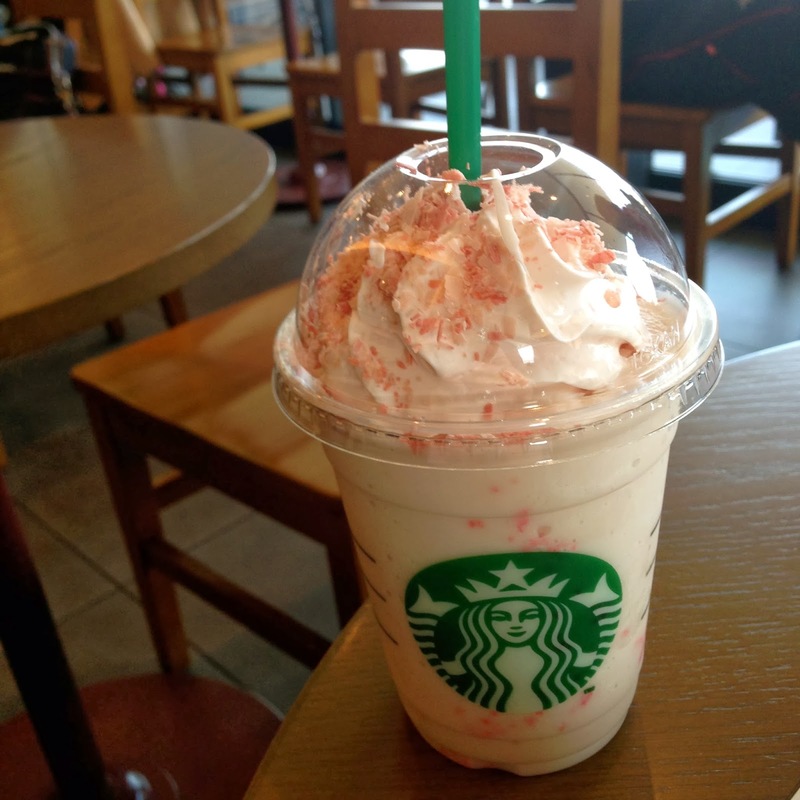 In frappuccino form, its like a strawberry vanilla bean frappuccino. I like this drink a lot, but it's too summery considering that it snowed last week in Japan. Another source of excitement is the sakura merchandise. This year the design of the cherry blossom is juxtaposed with a geometric checkered background, creating a very edgy look. Most of the mugs and tumblers are already sold out around the country, but fortunately I was in Fukuoka for its debut (February 15th) so I grabbed a tumbler and mug.